On my recent October trip to The USA I had the pleasure of meeting Robert Valdes-Rodriguez. RVR to many friends, colleagues and business partners. As a former Wall Street executive, Robert had a ‘lucky’ tie, one that he always wore to important meetings and client pitches. After twenty successful years with his ‘lucky’ tie, it got old and frayed. Robert's fruitless search for a replacement led him to design his own. It quickly turned into a passion, ultimately resulting in a collection, simply named RVR. RVR is a men’s luxury neckwear company. 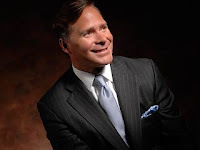 They're exclusive and passionate about exceeding the demands of the discriminating man and have entered this market because they believe that the best tie you’ve ever worn is the one you are viewing on their site. 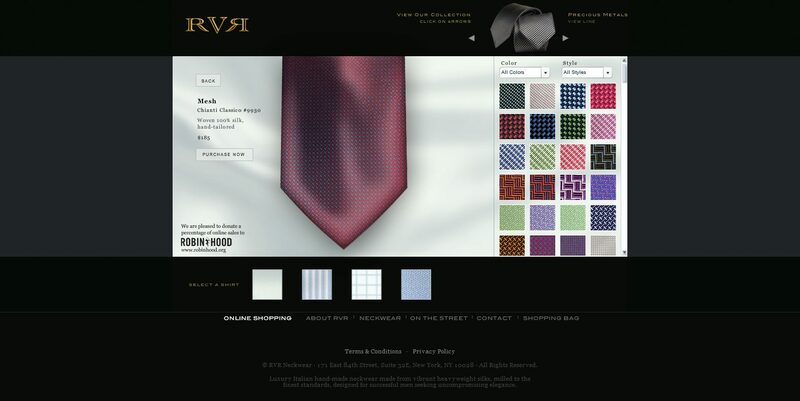 All of the RVR ties are exclusive silks, woven by the world’s most heralded mills and are hand tailored to perfection. The results are ties that have been so carefully crafted, you can’t help but see and feel the difference. Robert's philosophy is if you're running a global board meeting, dressing for opening night in Vienna or on the way to your Hampton's retreat. Wherever in the world you are, whatever you’re doing, you take pleasure in perfection. The texture of a ’61 Latour. The fit of a Savile Row (Steed) suit. The engineering of an Italian roadster. The RVR man and RVR ties. Both extraordinarily refined. Each a quiet statement in high style. I will have a catalogue of the RVR Neckwear collection with me when I visit the USA in January 2010. Alternativly, check out Robert's website and blog.